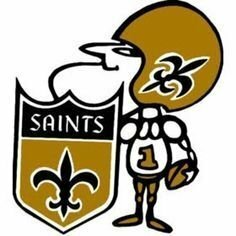 Does anyone else find it funny/ironic that after years of the NFL/Goodell coming down hard on the Saints organization, that now all of the sudden there's a conspiracy that the NFL/Goodell has it out for the Rams and want "Brees to get a final ring" so they're stacking the ref deck against the Rams? Goodell can't stand the Saints/Payton. So what did the Rams org do? Pray tell! This garbage started with the Falcons fans and their "Katrina refs" crap back in 2006. As well as I can remember the refs were a nonfactor in that game but it took off from there. Just a downhill rolling snowball of stupidity and paranoia. If anything, the Saints having an elite QB and putting up multiple 7-9 seasons, as well as Bountygate, should point to the notion that we don't at all get preferential treatment from the league (if anything it's the opposite) but people like to hold onto a narrative I guess. Same with the Pats. They've gotten some calls in big games. Part of that is because they've played in so many gb big games. You're bound to have them go your way.